Hide this Project (Kalpataru Splendour) Discover properties in other projects by hiding the ones that doesn't interest you. You won't see them in your searches further but you can unhide anytime later. Kalpataru Splendour, located in Pune, is one of the residential developments of Kalpataru Properties. It offers spacious and skillfully designed 1BHK, 2BHK and 3BHK apartments. The project is well equipped with all the basic amenities to facilitate the needs of the residents. The site is in close proximity to various civic utilities. What is the project location?The project is located at Shankar Kalat Nagar, Pune. What are sizes of apartments in Kalpataru Splendour? The apartment sizes in the project range from 716.0 sqft to 1784.0 sqft. What is total area of 1 bhk in Kalpataru Splendour? 1 BHK unit in the project are available in an area of 716.0 sqft to 975.0 sqft. What is the area of 2 bhk in Kalpataru Splendour? The size of a 2BHK unit in the project ranges from 733.0 sqft to 1200.0 sqft. What is total area of 3 bhk in Kalpataru Splendour? 3 BHK units in the project are available in a size of 945.0 sqft to 1784.0 sqft. What is total size of Kalpataru Splendour?The project is built over an area of 4.68 Acres. Is it a right decision to invest in Kalptaru Splendour? please suggest. @Karan, The kalptaru is a bit of higher cost than the others, but at the same time the quality of the project is far better from any other project available in the locality. The nearby facilities and location adds on to the beauty of the project like it is in close proximity to Rainbow Plaza Mall, ICICI Bank, PCMC Bus STop, etc. @Karan This is a nice project and in my view, it is better than the rahejas. Kalptaru has done a good job. The Infra and the material used in the flats are extremely good. YOu can also check this on your own at the time of site visit. Even the floor specifications is also good. 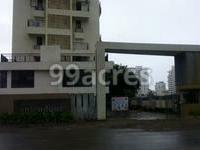 I am sharing the details below so that you can compare it with others easily: 2 BHK 733 - 1200 sq.ft. 3 BHK 945 - 1784 sq.ft.